It’s time to get festive! Come down and join us for a night of merriment (and perhaps a few out of tune Christmas carols) on Saturday, December 13, at Hillside Hotel, Castle Hill from 7:00 pm. This will be no Silent Night – we’ll enjoy a few off-season frothies and a good bit of banter, so don’t be a lump of coal; tell the girls to put on their stockings, and come get sleighed with us! 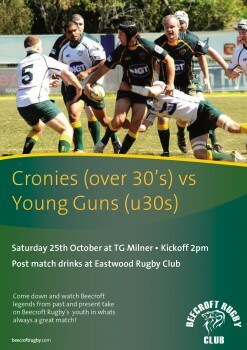 Come down and watch Beecroft legends from past and present take on Beecroft Rugby’s youth in whats always a great match! It’s getting closer! 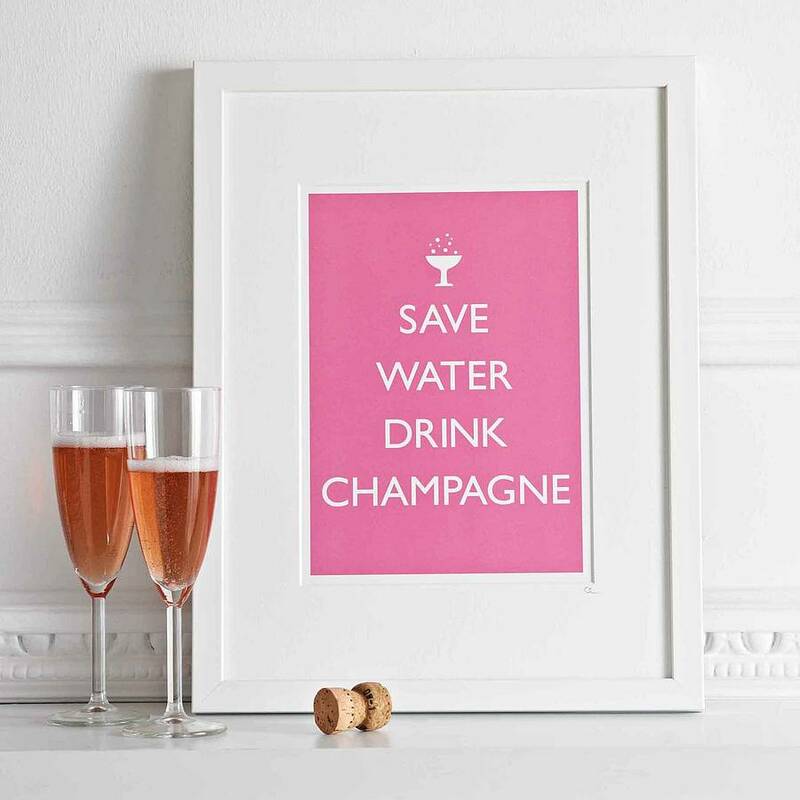 This time next week we will be welcoming our better halves, mums, sisters, and female friends, down to Headen Park for a day of champering (pampering whilst consuming champagne) at Headen Park. Or bought on the day for $25. Team sheets for tomorrow, May 10th’s, round against Old Ignatians. Address: Ryde Oval, corner of Blaxland Road and Princes St, Top Ryde. Round 2 team lists are now up for our first home games of the season. Check them out here. 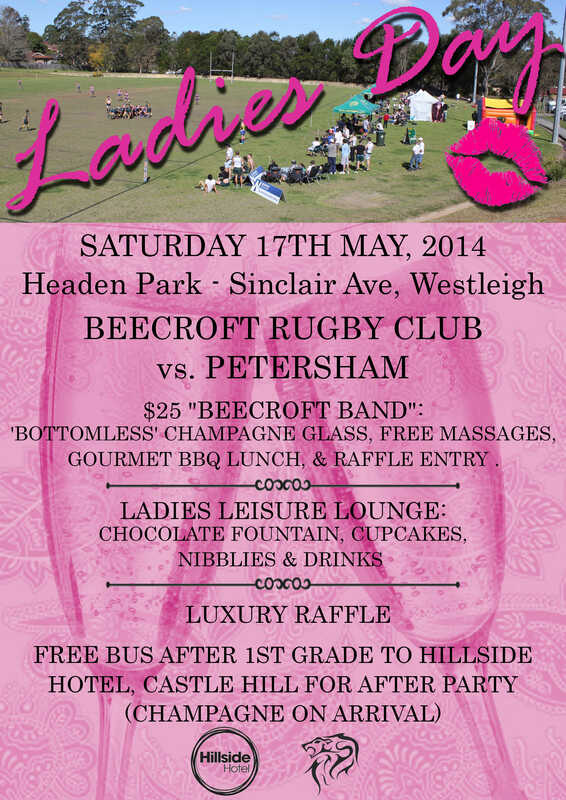 Ladies, we know you feel a bit left out when your man goes off to rugby, which is why Beecroft Rugby Club’s Ladies Day is ALL ABOUT YOU. Spots can be pre-booked by contacting Daniel Milne on 0425 286 535. You can also RSVP & check out more details on the Facebook event. Be sure to give us a ‘like’ to see our updates closer to the day! SO, grab a picnic rug and a few of your besties, and join us at Headen Park for our 2014 Ladies Day! Our first night up at Hillside (excluding the Colts pre-season drinks) will be Saturday, May 3, at 7pm, to watch the Waratahs take on the Hurricanes! Our cards will be ready by then, which will give us a discount on food and drink, so don’t forget to bring them with you! The bus leaves THIS SATURDAY after the last game against Drummoyne. Don’t miss out on a great chance to meet some new faces, and catch up with the old ones, as we wind our way from Headen Park into the city. More details can be found on the Facebook event. Tickets are $15 and available at training, or by contacting Gus Robertson on 0414989981. As the season approaches, there is a role we need to fill, to ensure Game Day runs smoothly: that of Ground Marshall. Enjoy prime position on the halfway line while managing the sin bin, collecting footies for each game, welcoming the day’s referees and scoring a free lunch. This is a volunteer position, great for those of you not planning on playing this year and unsure what to do with your Saturdays, or for that family member/friend who cant get enough of their rugby. Give Josh Bowen a call on 0404 871 535 if you’re interested, know someone who is, or have any questions. Preseason training is officially underway! 6:30pm every Tuesday and Thursday through February and March, down at Headen Park. Bring your joggers (no boots) and get ready for some awesome fitness and skills sessions to make sure you hit the ground running when the 2014 season starts.